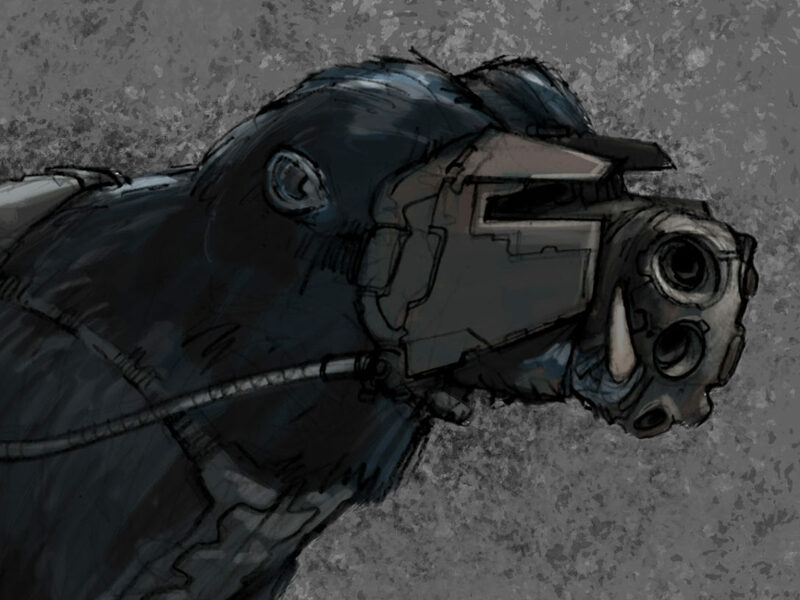 Learn how the metal-pecking birds, giant pig-beasts, and other strange creatures of The Force Awakens were brought to life. 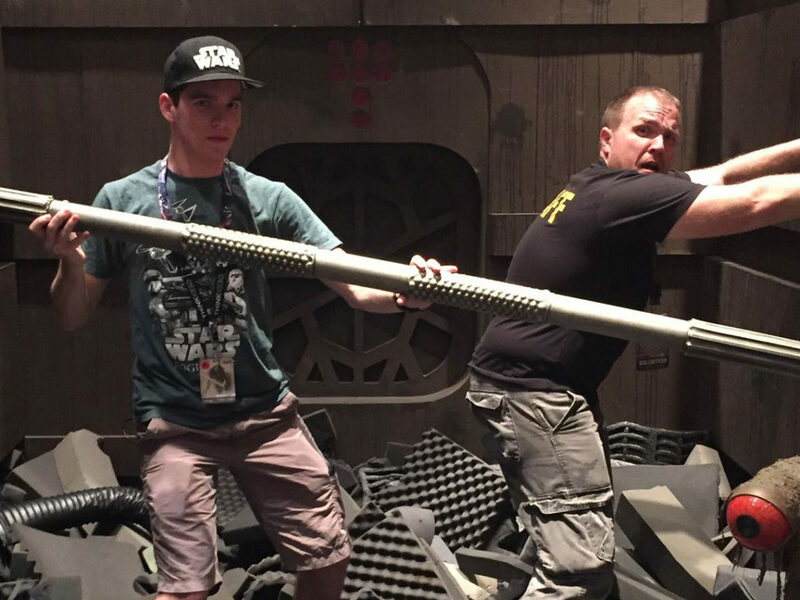 The news about the release Star Wars: The Force Awakens was enough to push fans’ excitement levels through the roof. 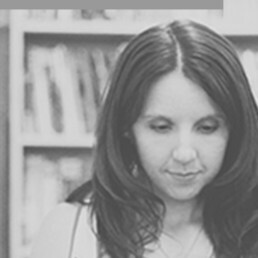 By merely existing, it invigorated the fandom. 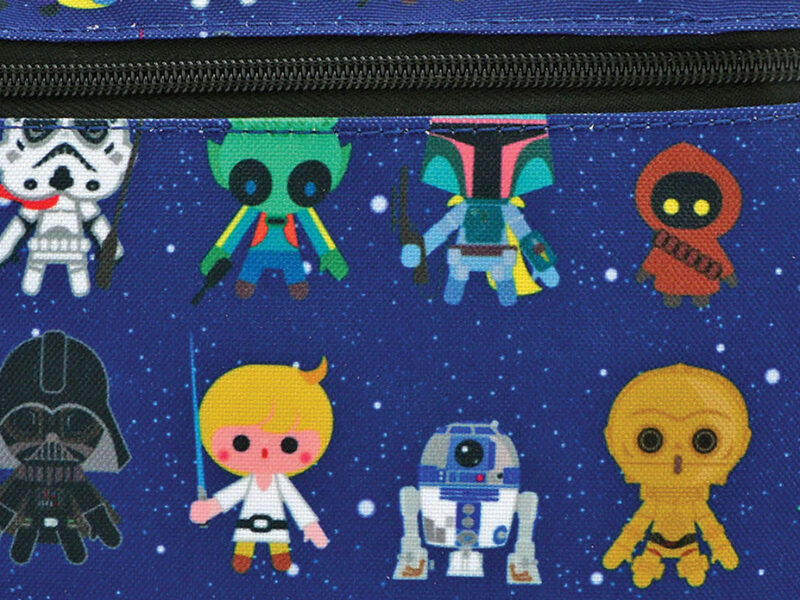 Our entry back into the Star Wars universe introduced us to different locations, all manner of characters, fresh aspects of the mythology, and new creatures. If I had a pile of credits to shape my Star Wars collection, I’d dump them into toys of the myriad creatures in the films and animated series. Tauntauns, banthas, the Zillo Beast — I’d happily display herds of them in my home. 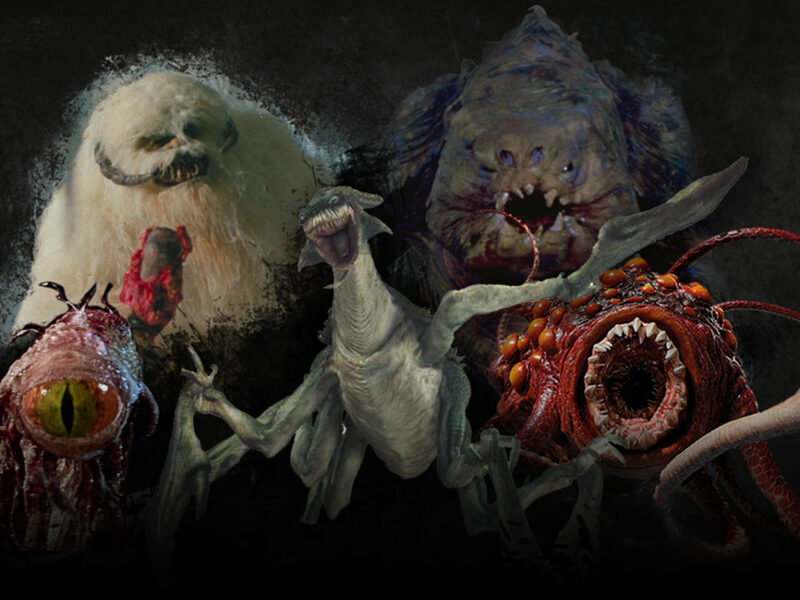 The Force Awakens brought us strange animals we haven’t seen before, and here are eight things you might not know about the newest creatures in the neighborhood. 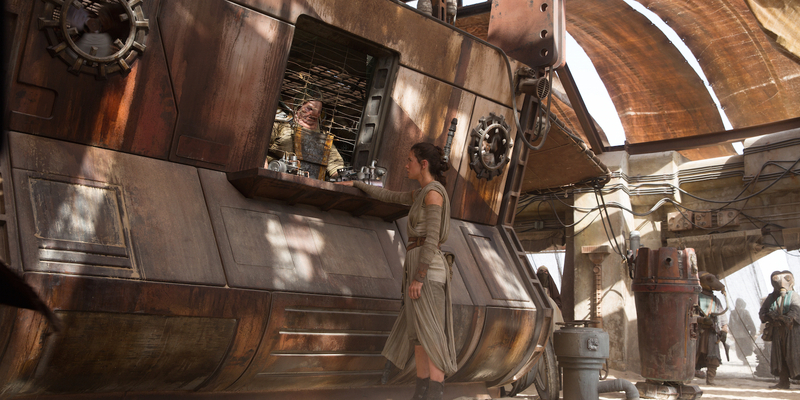 One of the rathtars Han had tucked away on the Eravana was in an especially cantankerous mood. 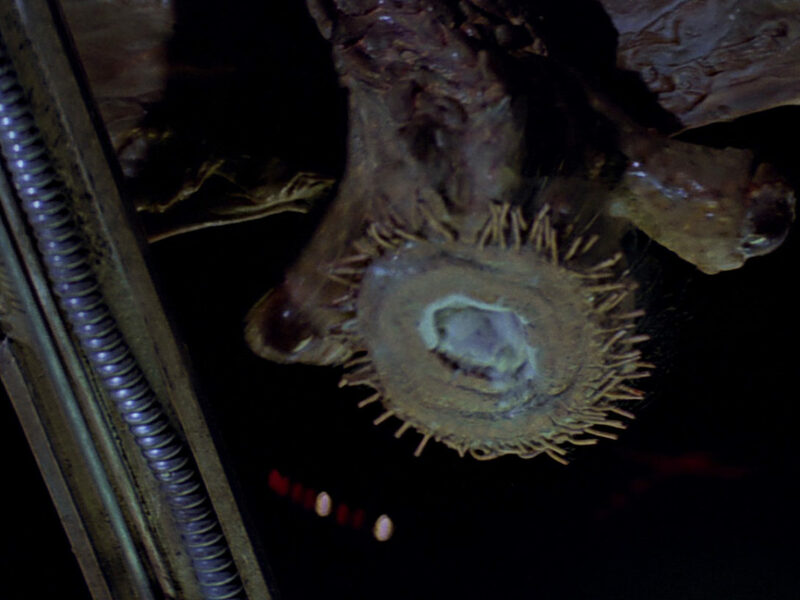 When Han tried to flee in the Millennium Falcon, the rathtar tried to take a bite out of the beautiful spaceship and made a distinctive noise. The film’s supervising sound editor David Acord dug deep to get that sound. “When the rathtar has his mouth on the cockpit of the Falcon, when it’s trying to eat the cockpit, that is me literally choking myself. [Laughs] Finger down my throat in front of the mic to accomplish that and then it’s pitched down,” he told Nerdist. 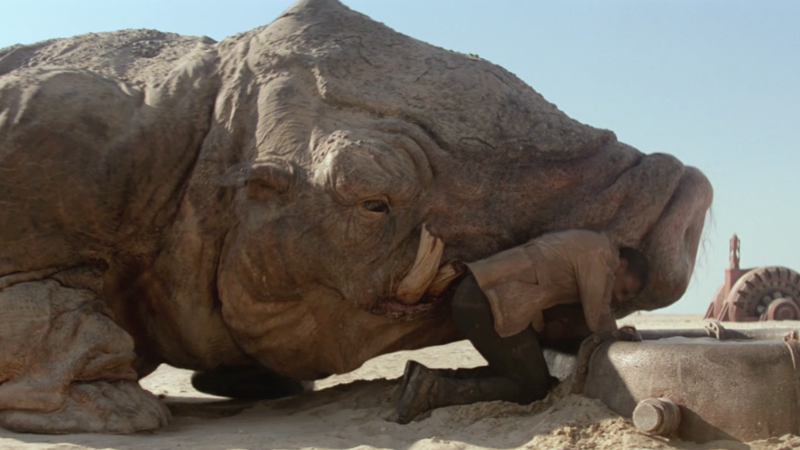 The luggabeast bearing Teedo on Jakku isn’t wearing armor because it’s the latest fashion trend (side note: Is anyone on Jakku concerned about fashion? I’m guessing not.). According to Star Wars: The Force Awakens: The Visual Dictionary, the cybernetically-enhanced creature’s shell is comprised of mechanical systems that help with endurance — systems include water recycling tanks and tanks for purified air. And the luggabeast has to lug around other beings and items on top of all that. Though some creatures require electronics or multiple puppeteers to move, the nightwatcher worm was a little more straightforward. 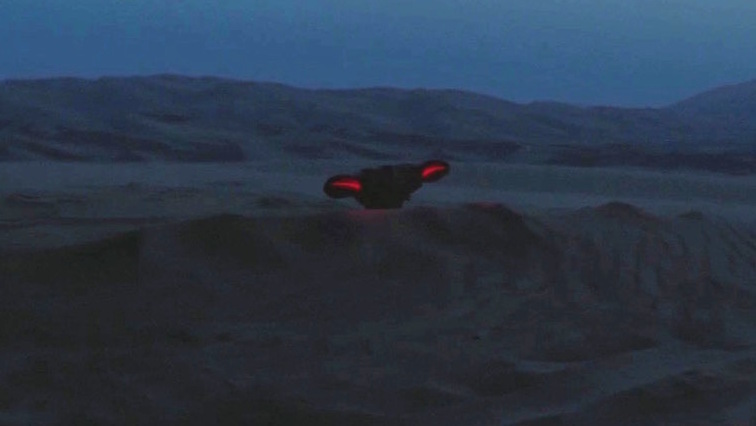 The creature on Jakku, also known as a sandborer or Arconan night terror, was a hand puppet controlled by the movie’s creature effects creative supervisor Neal Scanlan. 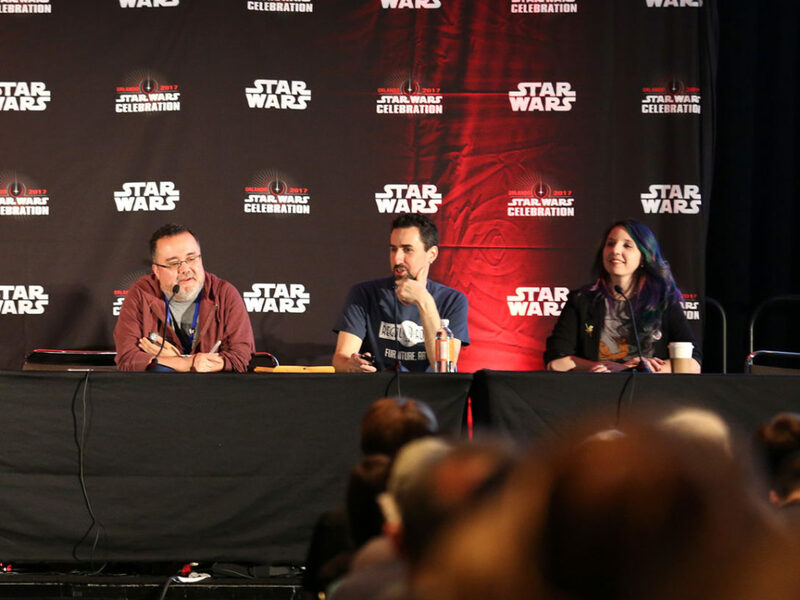 He discussed it at the Creatures, Droids and Aliens of Star Wars: The Force Awakens panel at Celebration Europe. Scanlan just sunk into the sand and lifted the nightwatcher worm puppet up. 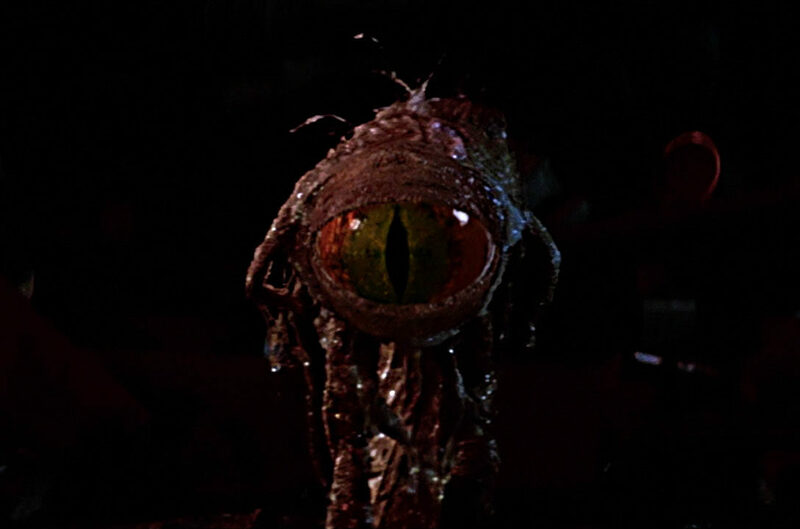 Director J.J. Abrams came to Scanlan with an idea for the worm, but budget was an issue. Scanlan told Abrams he could build the worm for 100 quid, but Ivan Manzella — a creature concept designer — said he could build it for 50 quid. He did so and completed it over a single lunch period. When in Abu Dhabi, Scanlan thought applying honey to the happabore might be an effective way to attract flies. You know, it would add some atmosphere. Instead, he told Star Wars Interviews, the sand flies were attracted to him rather than the creature. He had to fend off the insects all day. 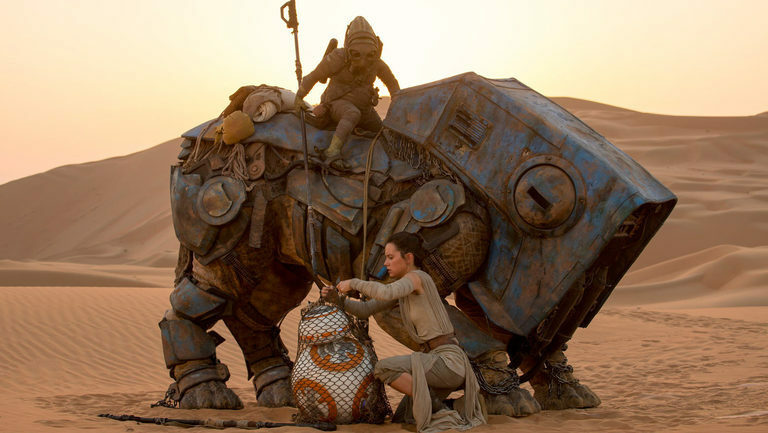 Jakku served as he home to all sorts of interesting creatures, including the steelpecker. 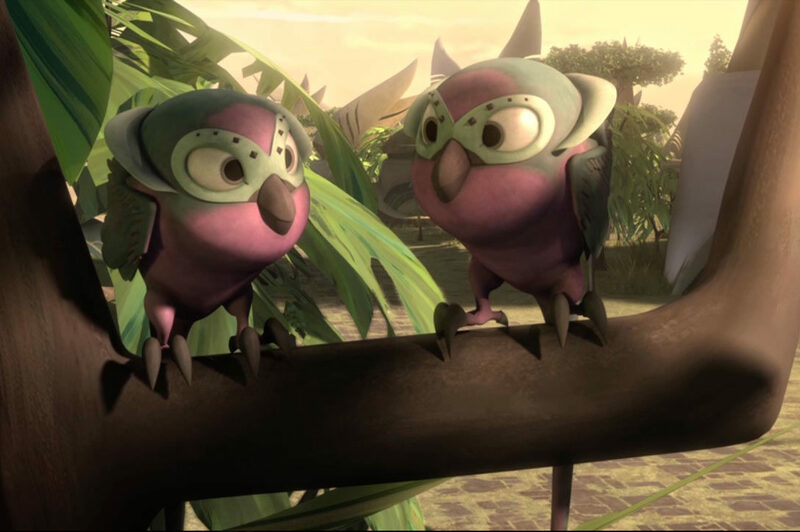 The idea of a bird that snacks on metal was inspired by a conversation between Abrams and Steven Spielberg. 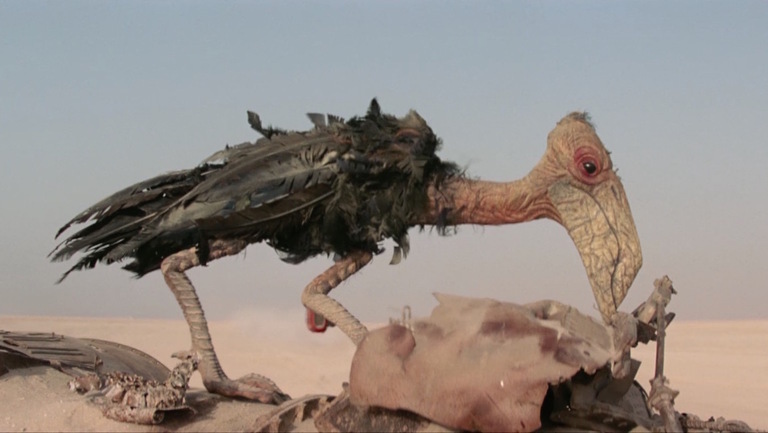 Creature designer and sculptor Jake Davies cited the source of the bird in The Art of Star Wars: The Force Awakens. “It would be poking around the innards of a machine and come out all oily and dirty and crumbly — old filthy rust all over its feathers — which I found quite exciting,” he said. 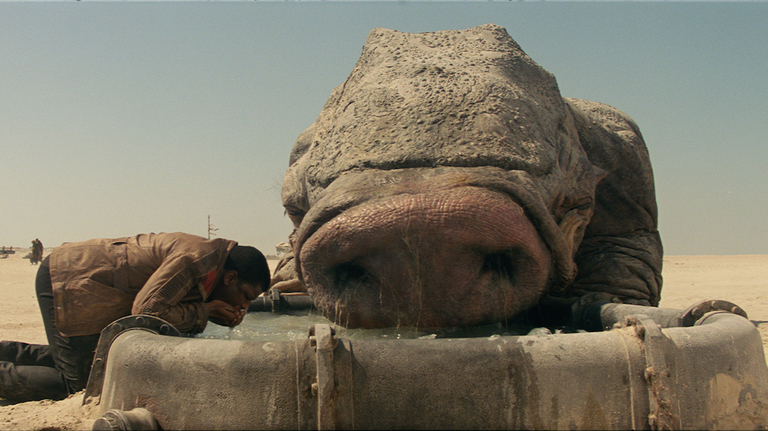 Which creature in The Force Awakens made an impression upon you? Tell us in the comments!